Mike’s Transmissions is a transmission shop in San Jose CA, that was established in 1988, and is conveniently located near two light rail stations, HWY 85, HWY 87 and HWY 101. We’re 1/2 block from the Blossom Hill & Snell intersection going towards HWY 85. We’ve been in business for over 27 years in the same location. We want to be your “One Stop Transmission Shop”, for all of your automatic & standard transmission, drive-train repairs and servicing needs. Mike’s Transmissions in San Jose is your best choice for professional and reliable automatic transmission services. Our mission is to provide you with quality service at a reasonable and competitive price. Mikes Transmission in San Jose is ready to service, diagnose-troubleshoot and repair your automatic and standard transmission and automotive drive-train problems. Our highly skilled technicians offer comprehensive knowledge and experience. Family owned and operated, we are the true “Mom & Pop” automatic and standard transmission and automotive drive-train shop. I have over 33 years of experience and I’m the “Lead Tech” in the shop. Patty, my wife runs the front office, communicating with customers, invoicing repairs, and ordering parts. I personally speak to every customer when it’s time to explain the repairs needed, and I do it in layman terms to help customers understand exactly what they’re paying for. Customers are encouraged to come in and take a look at what I’m advising them to authorize. At Mike’s Transmissions in San Jose we perform all repairs with the highest quality parts available. All parts meet or exceed the OEM specifications. Our policy is to achieve the highest quality and most reliable repairs possible. At Mike’s Transmissions in San Jose we believe that our continued success, will be determined by our reputation. At this point in time, more than 50% of our business comes from previous customer recommendations. All customers are treated with the utmost of respect and consideration. We realize that in most cases, transmission repairs are an inconvenience. We do our best to make your repair experience a smooth and pleasant one. We would like to thank all of our customers, that we value more than can be put into words, for bringing their cars and trucks to us. It’s been a great ride, and it’s not going to be over for quite some time! When we first opened, many of our customers were young men and women just married and starting families. Now we work on their children’s cars. Someday we will be working on their grandchildren cars too! It’s amazing! Thanks again to all of you from the Mike’s Transmissions Family! To those of you who’ve never been to Mikes Transmissions in San Jose, give us a call at 408.629.4205 or come in and see us at 463-K Blossom Hill Rd, San Jose CA 95123. See for yourself why Mike’s Transmissions should be your one stop transmission shop! 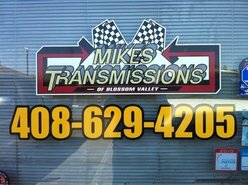 Find out more about Mikes Transmissions and see our new video on YELP. COM . 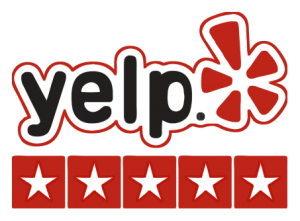 Just click on the Yelp logo!